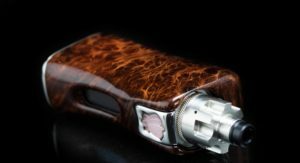 DigiFlavor’s innovative approach to their overall design has rocketed them to stardom. 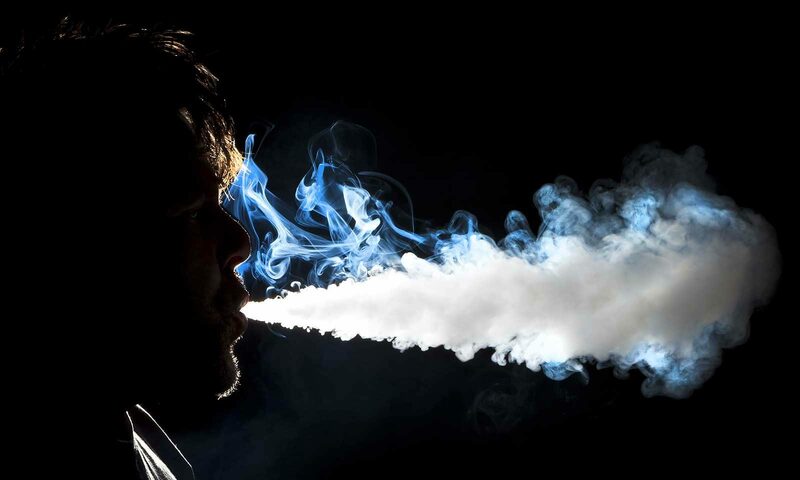 Of course, collaborating with some of the hottest names in the vape industry doesn’t hurt either. 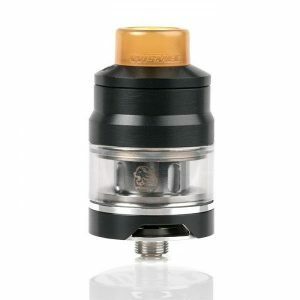 Adding the DigiFlavor Pharaoh Mini RTA to their growing list of atomizers helps them cater to most vaping styles. 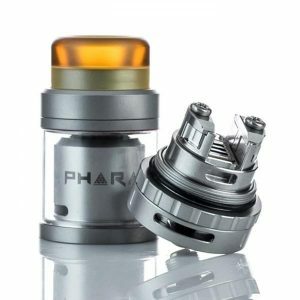 As a scaled-down version of the exceptionally popular Pharaoh RTA, this may be one of the best sub-ohm RTAs (Rebuildable Tank Atomizer) to come along. You should never base your purchases merely on a company’s reputation. But at the same time, coming from a company with good reputation certainly doesn’t hurt. 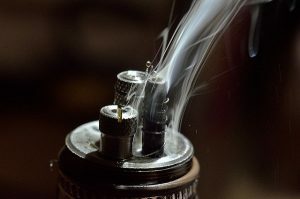 DigiFlavor is widely known for building some of the best sub-ohm RTAs on the market. The Pharaoh Mini comes a full millimeter smaller in diameter than its big brother, yet at the same time, it continues to offer enough capacity for 2ml of your favorite e-juice. 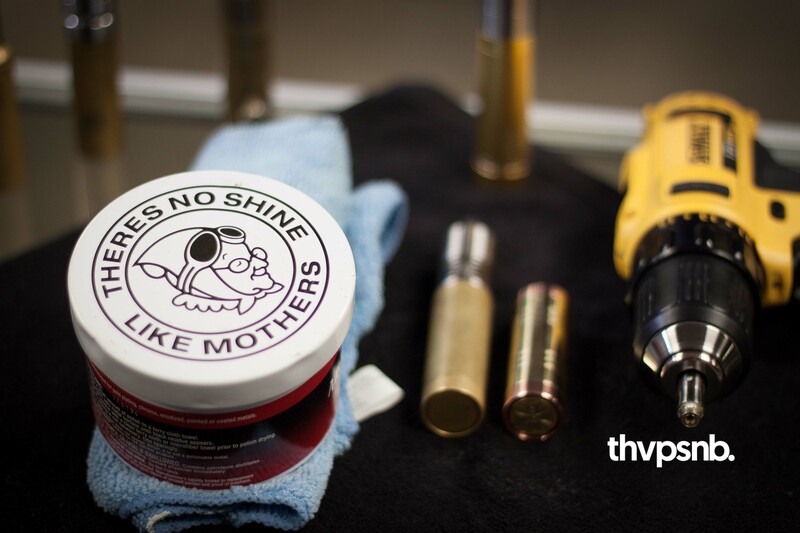 If this is not enough juice for you, you can quickly install the included 5ml tank for those really long days. 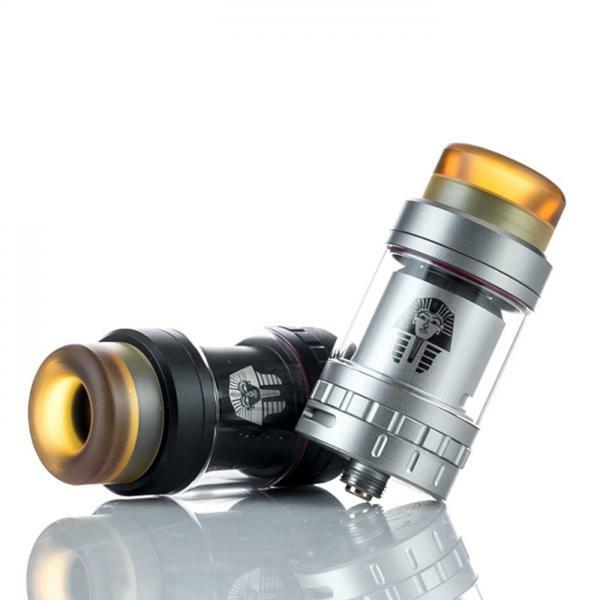 The 810-drip tip has been redesigned and is curved and more comfortable than the original design used on the full-size Pharaoh RTA. Not only does this new design offer a better “mouth-feel ” to it, but it gives the DigiFlavor Pharaoh Mini RTA a much better overall look. Down at the base of the atomizer, the deck has rectangular airflow slots cut into it. The design lets the air from outside flow in and around your choice of builds. This helps to produce one of the best “true” flavors we have found in a mini RTA tank. This mini vape is capable of producing massive clouds of your favorite e-juice, without killing the flavor. 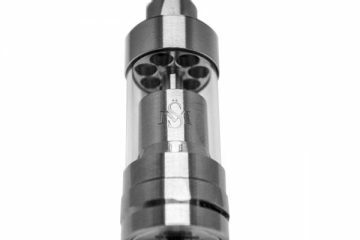 The sliding airflow adjuster on the bottom of the atomizer makes it easy to adjust and create that perfect vape hit. The deck is 25mm in diameter, allowing for shorter tanks in keeping with the whole “mini-Gnome” theme. 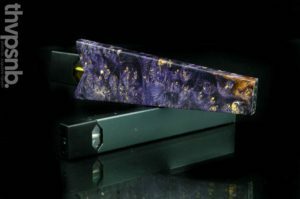 The Gnome is one of the best vape tanks for those who need to keep things small. If chasing clouds is your game, then the Cloud Beast might be one of the best sub-ohm RTA (rebuildable tank atomizer) models on the market. 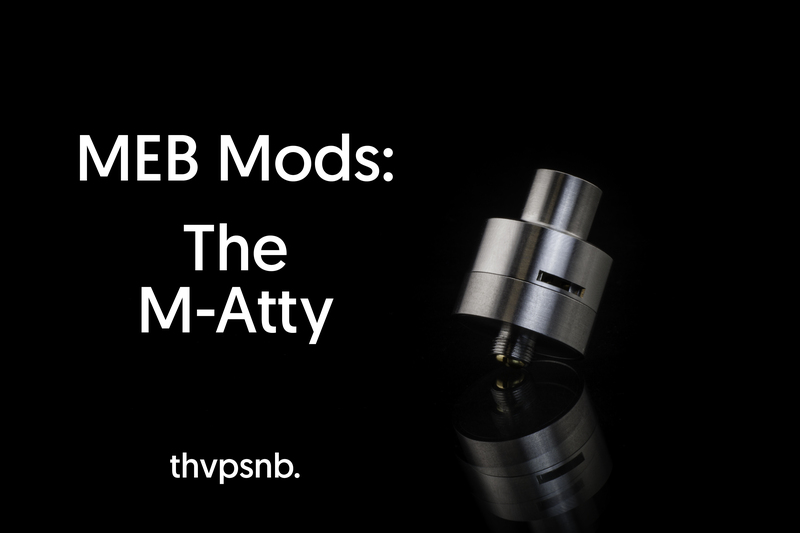 It comes with three different sub-ohm coils, including the Exclusive Turbo RBA 0.2Ω and a substantial 6ml tank that should keep you vaping all day long. 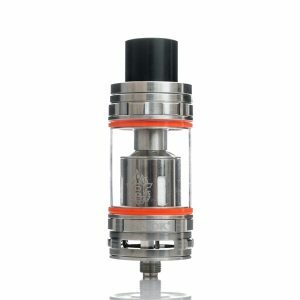 Definitely one of the best sub-ohm tanks for those who love great flavor and massive clouds. 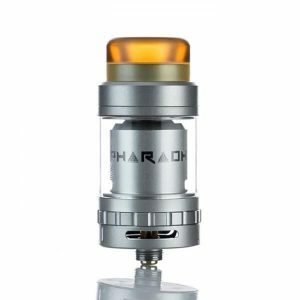 The one thing we weren’t thrilled with is that the Pharaoh Mini RTA comes with a single coil clamp style deck. If your preference leans more towards a dual-coil deck, there is one available for the Pharaoh Mini RTA. To us, this where the Mini deviates from some of the best vape tanks out there in that if you want a dual-coil deck, you have to pay extra. The latest trend is leaning towards decks that can set up for single, dual, and more increasingly triple-coil decks. This being said, it’s still one of the best sub ohm tanks on the market.